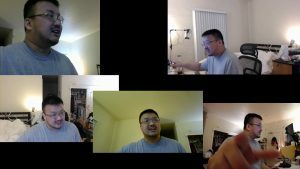 At home, I have been using three webcams for piano livestreaming: one from the top overlooking the piano, another from the side focusing on the right hand, and another for the face. This setup, I thought, has enough visual movement to be less boring to watch. Then there’s a fourth webcam sitting on the monitor, for when I switch attention from the piano to the computer. Things were fine when I had all this set up on a corner of the room, piano and computer tightly packed in close quarters. 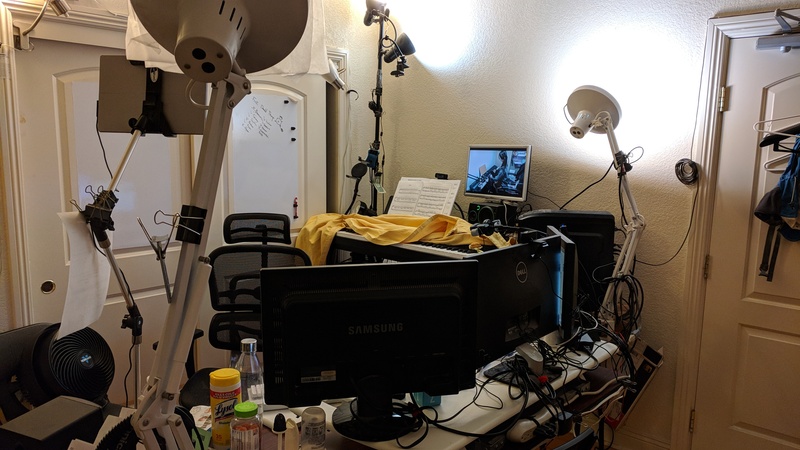 Three webcams (1080p, 720p, 720p) were plugged directly to the computer. The fourth one (1080p) was connected to a USB 2.0 hub. Then I decided to unfold this setup throughout the rest of the room, to gain more breathing room. That’s when the problems started. 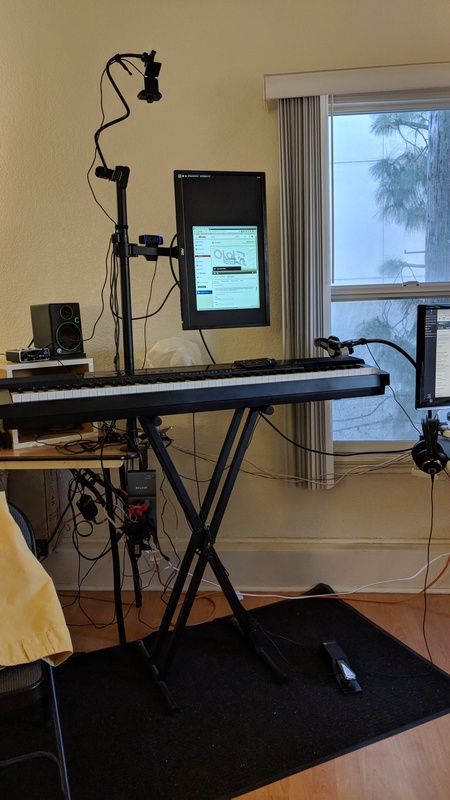 Now the piano, around which “audio-type” devices (3 webcams, audio interface, speakers) are clustered, and the computer, are about 10 feet apart. No problem, bring another USB hub into the mix. Then whenever I started up OBS, either all 3 would work (rarely), and more often one of the three webcams would not power up. They were recognized, they were just not sending over a video feed. Which webcam was not sending the feed changed each time I started up OBS. Seems OBS randomly assigns a starting sequence per session. If most of the webcams are plugged to the motherboard, or one webcam per USB hub, then it’s only up to the computer’s capacity. I tested up to five, it works fine. 720p and 1080p depends – there is a range of combinations that work or sometimes (sometimes?) doesn’t work. I can’t quite pinpoint the working threshold for this, since just switching around cameras and restarting OBS does not generate reproducible outcomes. Maybe a reboot is required for which combination, which is way too much effort. The audio interface, which is also plugged to the same hub, seems to be a factor in this as well. Other factors could also be whether they were at any point in the current session set up to transmit at 1080p and then later lowered to 720p, webcam maker, etc. Unfortunately, because of the USB 3.0 specifications, a USB 3.0 hub with its much higher bandwidth doesn’t help. USB 3.0 reserves a bandwidth exactly the size of the USB 2.0 spec for 2.0 devices plugged to a 3.0 hub. So all USB2 devices are still competing for the narrow USB2 path while the super wide USB3 bandwidth is very empty. And unlike USB2 webcams, USB3 webcams start at the very hefty $200 per unit rnage. Surprisingly, three on a USB 2.0 hub at times, worked, sometimes, until, I think, I brought an audio interface into the hub. There were other devices on the hub before that, printer and scanner, but those didn’t actively compete for the bandwidth I imagine. This is before latency and audio sync between the separate mic and the webcams issue.